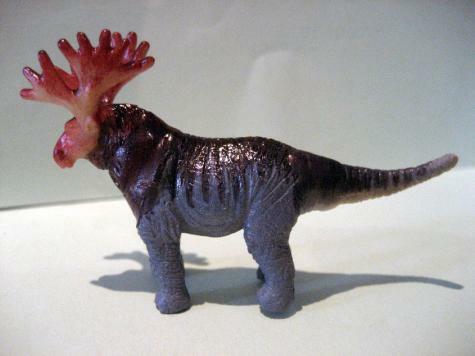 Prized for its ornate antlers, the majestic Moose-Saurus was sadly hunted to extinction. This is another unique species created by fusing plastic toy animal parts together with Plastimake. Mark used permanent markers to add the final colourful touches to his creation.